Announced today for my dubbing in Ye Maaya Chesave. I had never thought of dubbing before SOK. And never thought I ll get an award either for my first film in Telugu. This journey, too started from Rahman sir's studio when the studio engineer Karthik called me to test for Sillunu Oru Kadhal. I, in my opinion, had a very un-girly, un-sing-song voice. I was just the normal voice. Somehow Director Krishna decided this is the voice he wants for Bhumika Chawla and I am now 22 films old for dubbing in about 5 years. I continue to be surprised with this though. This was never something I planned. But then I wasnt planning for Blue Elephant since I was a child either. But I can tell you that this path was not easy. And I also said I didn't want to be doing this at some point because some things were becoming too difficult to handle. I faced a lot of resistance. Not to mention a lot of envy. However, destiny took over. Things changed. And I am grateful for the opportunities. Vinnai Thaandi Varuvaaya and Ye Maaya Chesave are definitely one of the best films in my dubbing career. I love working with Gautham sir. Learned a lot of things from him. Especially subtlety in dubbing. Before Vaaranam Ayiram I was just plain scared of GVM. Had never been introduced to him before this film and I was always intimidated and iced out by him. But I am super thankful that he chose me to be the voice of Sameera Reddy despite everything. And then the voice of Jessi. Had a great time dubbing this film at 7th Channel Studios as I had probably mentioned earlier and a major thanks goes to Mahesh Anna at 7th Channel for making me sound so good. Samantha was one of the first people to call me once the film released to say that people loved my voice. Love her sense of security and her heart to compliment in private and in public.Super happy for her that she got the jury award for YMC. Gautham sir won for best screenplay writer. Hope I win one for singing as well though.. some day. For this Nandi Award, a big thank you to Gautham Vasudev Menon, Mahesh anna, the Jury, the one-of-a-kind-film-fans of Andhra Pradesh and team VTV. YMC/VTV will always be super special. continue your wonderful journey,my prayers&wishes r always with you. Congrats Chinamyi....You also won the Vijay awards for Enthiran...but u were not present to get the award...were u in US at that time or any other reason???? Awesome . . Its was expected . I was expecting it more for the tamil version me it . . Vtv i am not sure how many times i have watched but every time i wonder what makes it special . . Especially voice after she breaks ups and cry's amazing voice . . . Good thing happens to good ppl . . Envy ya ppl always envy the best , you are the best . God bless you in your next adventure . . What was mom's reaction ? Great Happy to hear dis :) Pahku unthi:) naaku eami seppirathunnu thel leythu:) Nuvukku 7 hills devudu bless seiestharendy! Good day! Congrats Chinmayi for the award. Shows that you excel in whatever field you enter. Dubbing as in for dialogues? I never knew this talent of yours. Anyways, congrats on the award. Congratulations and best wishes, Chinmayi!!! Hearty Congratulations Chinamyi... we are so happy abt it. 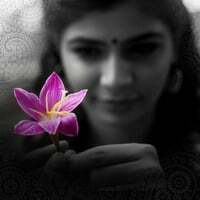 Congrats Chinmayi for nandi award!!! Vijay: yes i got to read it.. Thought I am one of the most accessible people around.. thank you for the support! Reading ur blog after long time.. Congrats on winning the award !!! CONGRATULATIONS! SO MANY AWARDS ARE WAITING FOR YOU! NANDI AWARD IS ANOTHER STONE IN YOUR CROWN! ALL THE VERY BEST! CONTINUE YOUR GOOD WORK!